Hi, I’m Rachel Rosser the Skills Coach for Science, Engineering and Services to People based in Cowbridge Road campus. I joined the College a year ago and my new role has already brought great rewards and personal satisfaction of helping students achieve their best. From beauty therapy and hairdressing students to forensic science and engineering students, there has been plenty for me to get on with! I have supported students with assignment writing/proof reading and exam preparation, as well as offering general literacy and numeracy support on a one-to-one basis or in small groups. Every student has been unique having different learning needs, however I have noticed one common theme – their confidence has grown and I have enjoyed watching their smiles as they have passed their courses! I was particularly proud of a student who was home schooled and did not have any experience of being in a classroom. He ended up achieving the Faculty’s Student of the Year Award, successfully passed the level 1 course and has enrolled onto a level 2 course. 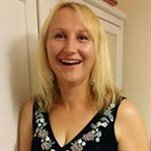 Hi, I’m Helen and I am the Skills Coach for the curriculum areas of Arts, Media, IT, Care and Education based in the Cowbridge Road campus. I joined Bridgend College in 2011 as an LRC assistant at Pencoed Campus and really enjoyed helping and supporting students as part of my role. I regularly helped students with assignment work, research skills, referencing, spelling, grammar and general literacy and numeracy support. As part of my role within the LRC, I implemented fun literacy initiatives and reader development exercises such as competitions, reading challenges and ‘Blind Date with a Book.’ I also offered workshops to students to improve their skills. If you think I could help you, please contact me for an informal chat. I look forward to meeting you.